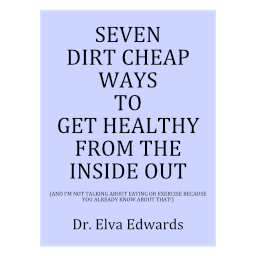 January 2017 – Dr. Elva Edwards, D.C.
Do you notice that your balance isn’t as good as it used to be? What if wearing a particular sock would help you? What if wearing a particular sock will increase your strength or endurance in sport activities? Whatever will help with pain or dysfunction in the feet, I’m all for. I’m still checking them out and at your next appointment, I’ll be happy to test to see if they would help you. What makes these socks different? They have a pattern on them that affects the energy system in the body. I know it sounds different, but at your next appointment, I can show you. The energy system it affects is the acupuncture system. For those of us with balance problems, we will take any edge we can get because it might mean the difference in a fall or not! If you know someone who needs the help (or a gift, think Mother’s Day and Father’s Day), please pass this on. The socks are $30-$40 a pair, but when you compare that to what a fall costs in terms of health, they are inexpensive. I have big feet (size 10 shoe) and I like the medium sock. They run large. Consider ordering a size smaller than usual. I have some in my office if you would like to try them on before ordering. And, I can order them for you if you would like. There are many options in length and color and if you have questions, feel free to call or email me. Or you can order on this site. Caveat: shipping is $10 for up to 15 pairs and federal tax is 5% of order. Sleep: Do You Get Enough? Do you ever have a bad night’s sleep? Sleep really isn’t given the respect it deserves. Many people confess to me that they stay up too late at night. Did you know that if you have a night of only four hours of sleep, research shows that the next day you will eat 400 more calories than you would have if you had gotten a good night’s sleep? And if that wasn’t bad enough, research shows that one night of poor sleep will mess with your insulin sensitivity more than if you ate poorly for six months. If you aren’t afraid of diabetes, don’t forget that high insulin levels drive cancer too. People who had less than six hours of sleep a night had a 50% greater chance of having cancer. So, the bottom line is, let’s make sure we get a good night’s sleep!! A hot bath before bed, turn off devices an hour before bed, add a few rituals before bed and my never fail is a minute or so of deep breathing! Now, let’s celebrate good sleep! I got these statistics from Dr. Mercola’s wonderful website in case you want to read more! When you come into my waiting room, I have a Biomat in one of the chairs. Some of my patients have their own Biomat because they borrowed one from me for a week and decided it was something they wanted for their families. You can borrow one too it you would like. I love my Biomat and many of my patients feel the same way. And I hope you are watching the “Vaccine Reveled” series as it is chopped full of information that needs to become common knowledge. Episode 6 is heart breaking but one that everyone should see. I’ve been asked questions about vaccines many times in my practice. I like to refer to the science. This week is a streaming event about vaccines below. I hope you sign up to watch and listen! I have not seen this series yet. Just remember, vaccines are often given for illnesses with few problems associated with having the illness. We have to ask why? When I was a kid, it was ok for me to stay home from school with my Granny for two weeks when I had the mumps. Today, with parents working and families living away from grandparents, it makes it hard on families for children to be sick. And don’t forget about the big money involved in vaccines. Are there studies to prove that vaccines are needed and necessary? Are safe? No, there aren’t. Is there a link with vaccines and our increase in illnesses? Watch this series and see what you can learn and we can compare notes! !